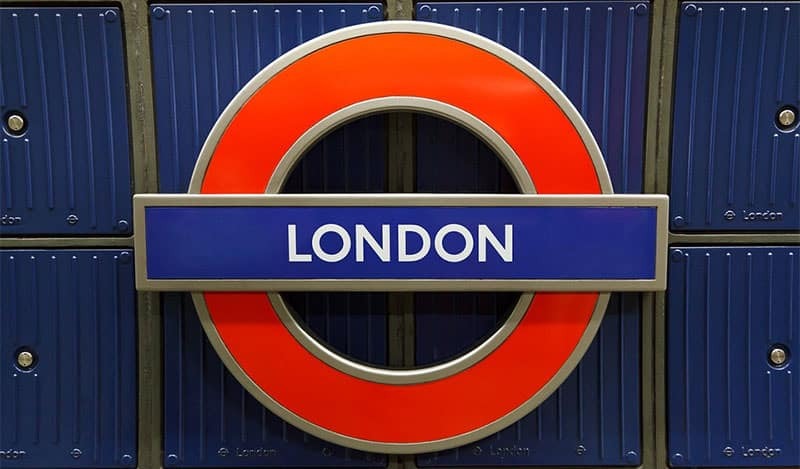 The capital and largest city in the United Kingdom, London is one of the most recognized and celebrated cities in the world, a place where countless superstar bands and singers got their start playing in the local bars and clubs around the city, of which there are now thousands. And even though the city has recently lost some of its more well-known live music venues—the Hammersmith Palais, Electric Ballroom and soon the Astoria—it seems there is always a great venue ready to take its place. According to Ru Owen, the lead bassist in the emerging East London band known as Mama Shamone, “the recent, almost overnight uptick in digital music has prompted the live music scene in London to thrive, even explode.” This is because more and more people, especially younger listeners, are gaining access to music outside of the mainstream, and of course once they fall in love with a group they just have to hear them. This is a trend that is bound to continue throughout the city, and while the era of the large club, with internationally-touring acts, may be dwindling, the smaller club scene is reaping the benefits of that sudden downturn. In the following article we will highlight a few of the live music venues in London—venues that are doing just fine in this new era of digital music—and provide a brief, yet detailed description of each club and the ilk of music and musicians that typically grace their stages. Located at 310 Uxbridge Road, Bush Hall is a grand old baroque building, nestled between a whole range of retail stores in London. And while the nearby Empire Club continues to be the more famous of the two Shepherd’s Bush venues, Bush Hall, the smaller of the two, wins hands down in terms of ambience and charm. The massively-high ceilings in Bush Hall, which add to the overall atmosphere of the club, are also very acoustically friendly, making even some of the smaller local indie bands that play here sound like a stadium show. One of the advantages of Bush Hall from a musical standpoint is that the bar is separated from the main concert area, meaning listeners can enjoy the music without the shrieks and constant buzz of conversation from those who have tippled one too many pints. Holding nearly 2,000 people, this mid-sized performance venue draws a mix of talent from a variety of musical genres. Previous performers have included the likes of R.E.M. and the Killers, among other big acts, who played the Hall on their way up the stardom ladder. An eclectic club boasting an even more eclectic lineup of music, Madame JoJo’s is a split-level venue with a bar on top and performance stage and dance floor on the bottom. The bar/venue, which was formerly just another piece of property in magnate Paul Raymond’s nightclub portfolio, is located on Brewer Street in the heart of London’s Soho district. However, when Raymond revamped the Whitehall Theater he relocated that structure’s art deco fittings over to Madame JoJo’s, giving it a simultaneously swanky and garish vibe. On the top level, Madame JoJo’s resembles just another modern-day English pub, with thirsty revelers gathered around the horseshoe-shaped bar and the dartboards, all of them getting their fill of wine or Carlsberg bottles before the show starts. But as you begin the descent downstairs, that modernity turns into a type of 1970s decadence and debauchery, with crimson, sequined curtains, carpeted walls and geometric railings. Regardless, it is here that some of the best new bands in London are known to play into all hours of the night, each trying to outdo the other for top billing. Madame JoJo’s also has a weekly club night known as “White Heat,” a type of jam session where new up-and-coming musicians can climb the small stage and try out their new material over the club’s excellent sound system. If the Union Chapel merely sounds like an odd name for a performance venue, you don’t know the half of it. Completed in 1877, this gothic behemoth, which is still used sometimes as a working church and as a help center for London’s homeless/down and out residents, is also an awesome performance venue that offers a quality of sound not found in most 21st century cookie-cutter clubs. The reverent décor, mystical ambience and mesmerizing surroundings of the Union Chapel make it a great place to catch your favorite show, and this vibe also seems to have a positive effect on the performers, who tend to raise their game when playing in such a hallowed place. In the past, the performances at this venue were limited to acoustic soloists, duos, trios and jazz acts, but more recently the venue has begun booking some of the emerging indie and mainstream bands in the area who may not have an opportunity to play bigger stages, including a past performance here by Amy Winehouse. Located at 96-98 Pentonville, amid the quiet erudition of London’s Islington neighborhood and the seediness of Kings Cross, the Lexington is a relatively small corner pub that caters mostly to the city’s younger generation and their unique mix of musical tastes. The Lexington is a thought-provoking combination of lounge bar and English Pub, with a convoluted décor (included a mounted deer head) that provides a great ambience. Another split-level club (like Madame JoJo’s), the bar’s upstairs area is crowded and seemingly thrown together, with a bar, dartboards and beer galore; while the downstairs is both lush and comfortable, with ample seating located throughout. It is here, in the lower level, that most of the shows are performed—typically smaller bands from the local area, but occasionally a nationally-known act or two throughout the year.